Alegre Design is a studio specialised in industrial design and the development of products. Created in 2001 by Marcelo Alegre, understands that design is like a bridge between the idea and production, and... Read more provides in all its projects effective and lasting solutions in creativity, innovation and experience. Their goal: The reinvention of every day. With more than one hundred different products on the market, Alegre Design works all the areas of the project, which gives them great knowledge in the production chain. That allows them to ask questions that nobody else does and obtain answers that are efficient solutions day to day. The teamwork of Alegre Industrial, based on exhaustive studies of the market and dialogue with the customer, has earned recognition and awards as important as ´The Red Dot Award: design product 2012. 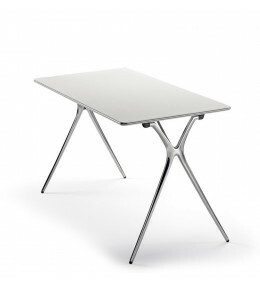 Plek Tables in various sizes and finishes come with a transporter trolley which allows for easy transportation. 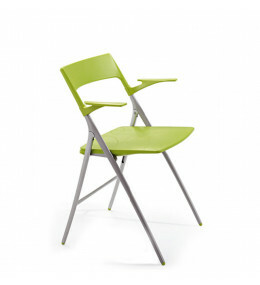 Plek Chairs are a multipurpose foldable seating solution for cafes, canteens, conferences and education.